High-Fat Meals combined with Stressors Results in Extra Pounds! It is a known fact that when you are feeling blue you tend to eat more junk. Recently US based studies report that eating high-fat meals after a hectic day or under stressful situations can contribute to sizable gain in the weight. The study was conducted on 58 women (aged around 53) who were interviewed at Ohio State University. The metabolic rates, blood sugar levels, triglycerides, insulin, and the stress hormone cortisol were monitored, while they consumed 930 calories and 60 grams of fat within 20 minutes. It was reported that women who had one or more stressors burned 104 fewer calories than those who remained unperturbed. This difference could actually result in the gain of almost 11 pounds, in one year. The study also looked into the control for comparison between foods with higher saturated fat and one with different kind of fat that contained variety of health benefits. Although the examiner suspected that saturated fat will have worse impact on the metabolism in women, but the findings showed that both kind of meals consistently showed the same results on how the energy expenditure was influenced by the stressors. History of depression alone was not related to slow metabolic rate. However when depression was combined with fatty foods and external stressors, it led to an immediate rise in triglycerides (a form of fat in the blood). Such a situation with higher levels of triglycerides can cause higher risk for cardiovascular disease and can severally affect the health conditions. With the conclusion of this study, it is evident that stressors can affect your weight gain and lower the metabolic rates. 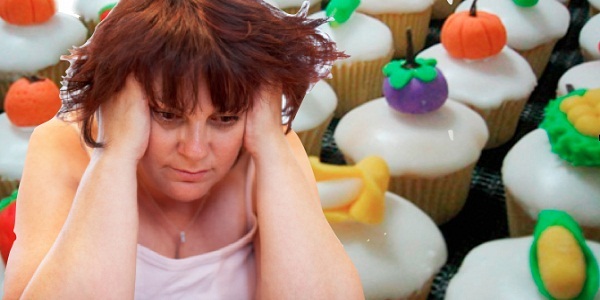 So, the bad news is that if you are a food junkie and your dietary situations are frequently regulated by mood swings, then chances are that you will end up gaining more weight than required as compared to women who are not stressed. In other words, keep away the bag of chips, the doughnut, or the big juicy burger especially if you are feeling down as it might end up into fat on your body. Fortunately, the food industry is working hard to make more healthy meals that do not skimp on taste. So try hard to make better food decisions especially if you feel depressed or under the weather as the right decision can influence your health in the longer run.